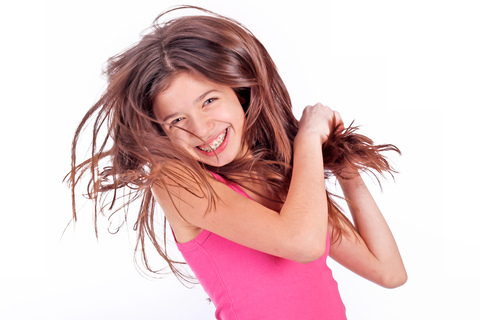 What is expected of me during my orthodontic treatment? We hear this question a lot at Max Mosslehi, DMD, Inc., and we don’t mind when patients who are eager to complete their orthodontic treatment ask us. After all, we know there is no better feeling than getting your braces off! During your initial consultation with Dr. Max Mosslehi, we will map out a specific treatment for you and will try our hardest to give you a timeline of when we expect you to wrap up treatment. Having said that, we know every patient is different. People have different biological responses to orthodontic treatment and some people’s teeth may move faster than others. Luckily, there are things you can do to ensure your treatment wraps up in a timely manner. By following these suggestions, you can avoid any setbacks during your treatment. Make sure to keep your adjustment appointments. Postponing or cancelling will delay treatment! Be sure to show up on time to your appointments. This will give Dr. Max Mosslehi and our team time to do everything we planned during your adjustment visit. When prescribed, make sure you are diligent about wearing rubber bands or other appliances. Avoid damage to your braces and teeth by wearing a mouth guard during sports activities. Make sure to brush and floss regularly! Gum disease or other dental work can delay orthodontic treatment. If you remember to follow these guidelines, you’ll be on your way to having the dazzling, healthy smile you’ve always wanted. As for us, our team at Max Mosslehi, DMD, Inc. will do our part to move your orthodontic treatment along efficiently. If you have any questions about your treatment time, please give us a call at our Tustin office or ask us during your next visit!